This is a great recipe if you love squid. This is even better if you love squid and Sriracha. Don't make a mistake of using the kind of Sriracha you find at your local Pho joint, though. The instructions state only the sweeter, less spicy Thai Sriracha is to be used. 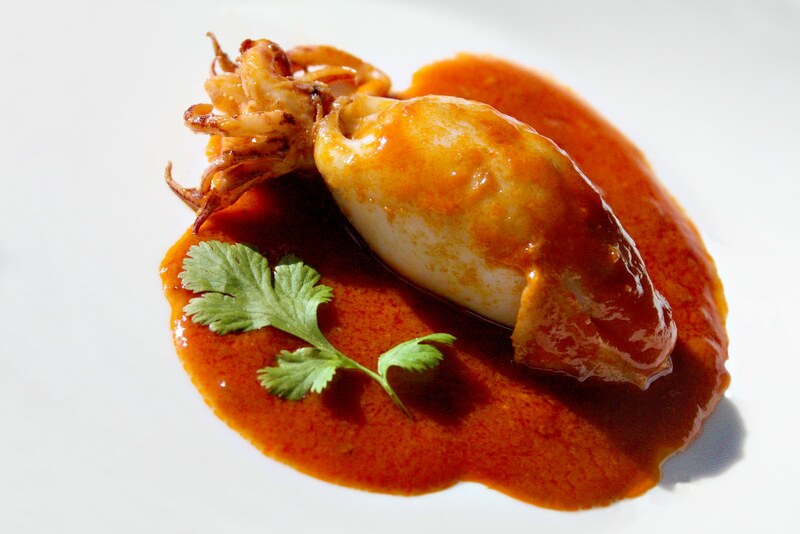 Find the recipe for stuffed calamari in Sriracha sauce on She Simmers.